Are you enjoying the Dog Days of Summer? 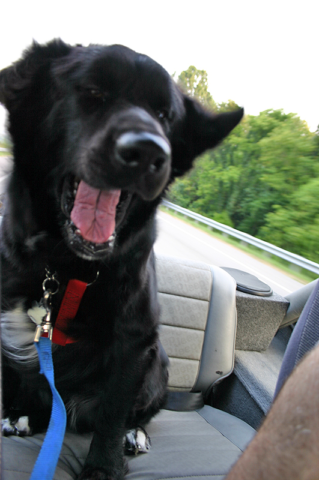 Chances are, you and your dog are probably going on a lot of Jeep rides these days — right? I know we are. Our dog loves Jeep rides! Good News: Jean and Norm at All Things Jeep are holding a contest to find “the winningest Jeep Dog” out there. a Goodie Bag of Jeep dog things like Jeep dog bones, Jeep squeaky toys, a Jeep dog collars, etc. To enter the Jeep Dog Days of Summer Contest, simply send a photo or two of your dog Jeeping to All Things Jeep. Be sure to include your full name, address, phone number, email address, and your dog’s name. That’s it! All entries must be submitted by August 31, 2008. How Are Winning Jeep Dogs Chosen? NOTE: All photos will appear in the Jeep Dog Days of Summer photo gallery, and since viewers can vote on the photos, the judges will also factor in the popularity of each photo. Here are some fun photos of dogs on Jeep tires from our friends at All Things Jeep.